A source said the deal was worth $500,000. The club will pay him $10,000 a month besides providing him with a house and car. The contract is for three years and is extendable by one year. 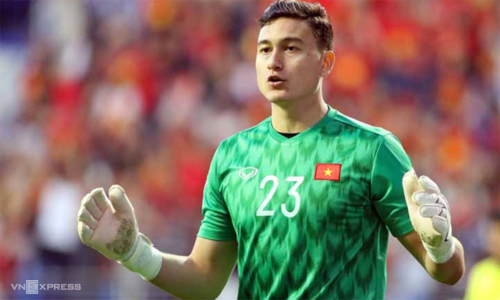 "In terms of value, Van Lam is the most expensive goalkeeper in the history of [Muangthong United FC]," Ronnarit Suewaja, the CEO of Muangthong United FC, told the media Thursday as Lam officialy joined his club. "At age 25, he has a lot of potential to grow and we can see that future in him. 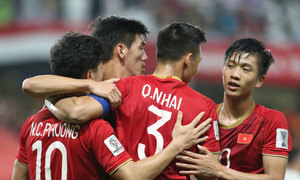 "To have a national team player among our ranks, especially one from a team that is turning heads in Asia like Vietnam’s, is our foremost priority," he said. Suewaja said the decision to recruit Lam didn’t come solely from the management board, but coach Pairoj Borwonwatanadilok also agreed with the decision. 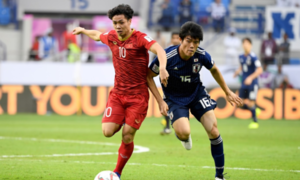 Lam was also scouted by other football teams, especially from Asia, but Lam chose Muangthong United because he "trusted the club," he said. "We believe [Muangthong] is a good environment for Lam to grow." The Russian-born keeper joined the V-League club in 2015 and helped Hai Phong finish sixth last season. 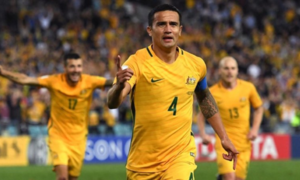 At the AFF Cup, he kept a clean sheet in five group matches and played a major role in his team winning the title. 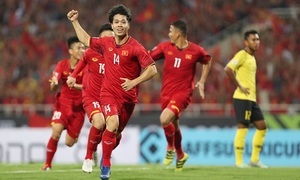 At the recent Asian Cup he helped Vietnam reach the quarterfinals where they lost 0-1 to four-time champions Japan. Muanthong are a leading club in the topflight Thai League 1. They are owned by cement and building materials firm Siam Cement. They also recently signed Aung Thu of Myanmar, Mario Gjurovski of Macedonia and Oh Ban-suk of South Korea. 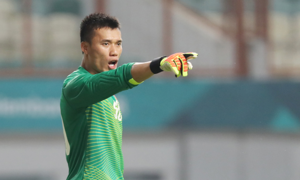 Goalkeeper Dang Van Lam scores an 'own goal'!